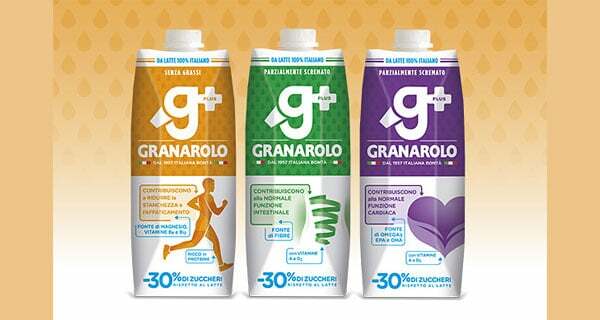 Italian dairy company, Granarolo Group, has collaborated with ENEA – the Italian national agency for new technologies – to create a new low-sugar, lactose-free milk product. Dubbed a ‘one-of-a-kind’ innovation, Granarolo claims the new G+ Milk has 30% less sugar than whole milk, and is easier to digest than conventional milk products. G+ Milk was created using a production process which has been patented by ENEA and Granarolo, which is based on a filtration process which breaks down lactose into glucose and galactose, creating a low-sugar milk. After developing this production process, ENEA and Granarolo invested €5 million ($6.1 million) in a new production line at the dairy processing facility in Gioia del Colle, Italy to increase production capacity of the new milk. Roberto Balducchi, head of the ENEA bioproducts and bioprocesses Laboratory, said: “In order to provide milk with high digestibility and low sugar content, we employed membrane filtration technologies, innovative mechanical processes without the need for solvents or reagents, which allow the preservation of the active substances of milk. “These technologies are in fact also called ‘mild technologies’ because, when used for food preservation and transformation, they don’t affect their nutritional value”. Massimo Iannetta, head of the ENEA biotechnologies and agroindustry division added: “The collaboration with Granarolo group is part of the research and development activities we’ve have conducted for many years in the agro-industry sector at the national level. “Our technological halls enable us to study, develop and test high-tech solutions to transfer to companies for the innovation of processes and products”. Angelo Vittorio Zambrini, head of quality, innovation, safety, environment at Granarolo said: “Granarolo G+ is an actual revolution in the milk industry. “It’s a unique innovation capable of creating a new product category in response to growing consumers’ needs and changing food trends”. G+ Milk is now available from several supermarkets in the country. See more about the produce here….